Twenty-four characters to save the world. 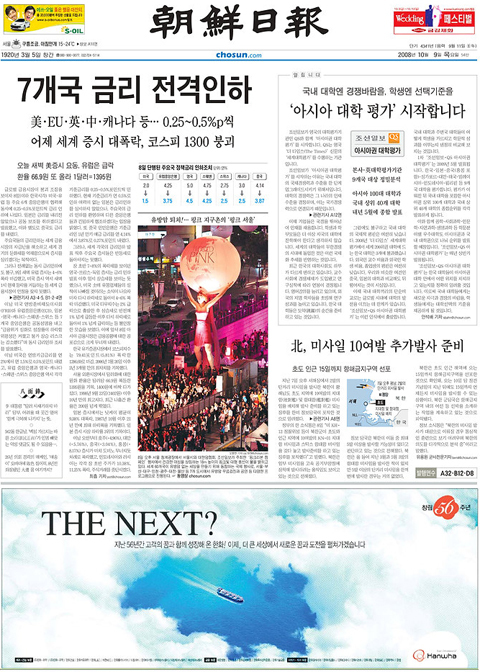 Above: 생일 축하 해요, 한글! 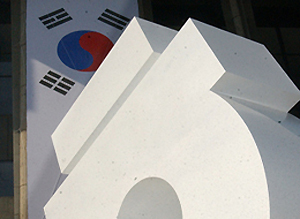 (Happy Birthday, Hangeul!) Even though it is the Korean alphabet we celebrate today, these four young students get to stand in. 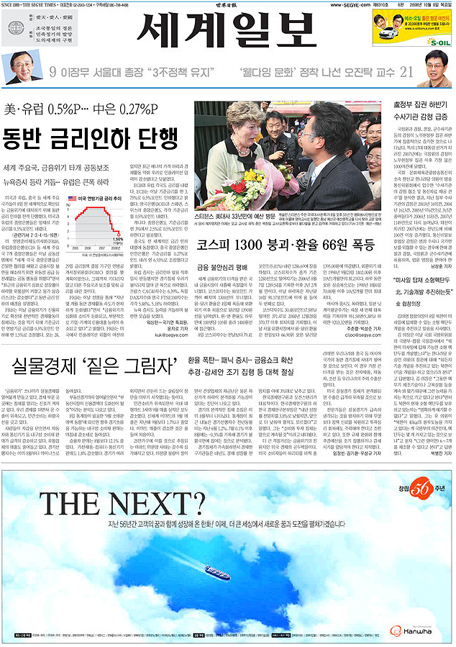 two more papers from Seoul. Remarkably, all three run the same ad material. 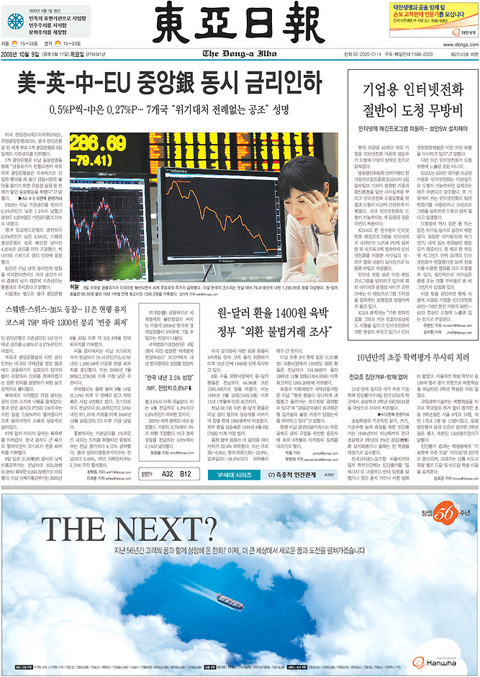 Above: The Segye Times, from Seoul, South Korea. Check in with Newseum daily. Kamsamida, KBS Global! If interested, you might enjoy a longer discussion as well as related material here. This entry was posted by Erik Brandt on Thursday, October 9th, 2008 at 8:59 AM	and is filed under Aktuell, Education, Globalization, Graphic Design, International, News Links, Typografika, Typography, Video.